In order to make your first visit to Odyssey Dental Care as efficient as possible, we ask that you download and complete the New Patient Form below, prior to your first appointment. At Odyssey Dental Care, we want to make your first visit as efficient as possible. We ask that you complete the patient form below prior to your appointment. If you have any questions about the form, please contact us. We're happy to answer your questions! 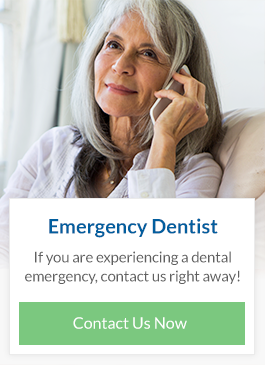 If you have a current dental problem, please describe. Please provide your previous dentist's name. What can we do to make you smile? Check all that apply, and we'll get back to you as soon as possible with more information about your inquiry. Dental professionals primarily treat the area in and around your mouth, but since your mouth is part of your body, any medication you are taking and your health history have a important relationship with your dental treatment. Please answer the following questions. If yes, please enter the physician's name, phone number, and date of last visit. Please provide the date of your last physical exam (if applicable). Please go over the following section and answer the following questions. Please list any prescription or non-prescription medicine you are currently taking or have recently taken. At our office, all professional dentistry services are performed by licensed members of the Manitoba Dental Association (the "Dental Professionals"), and all institutional health care services are performed independently by Odyssey Health Services under the clinical supervision and control of Dental Professionals, in a cost-sharing arrangement. Odyssey Dental Care and Odyssey Health Services are independent corporations providing independent services, but for ease of administration they may render joint invoices for their respective services. One or more of our Dental Professionals has a financial interest in Odyssey Health Services. By signing this form, the undersigned acknowledges and agrees that they have read and understood the information and disclosure set forth herein prior to any professional services being provided to the undersigned by any Dental Professionals working with Odyssey Dental Care.